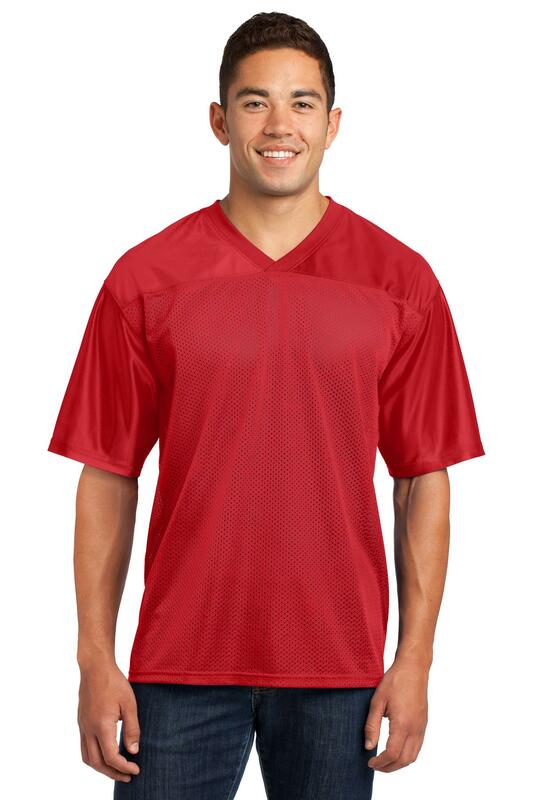 True athletic-looking jerseys featuring a breathable mesh body and color-locking PosiCharge technology. | 3.6-ounce, 100% polyester mesh body with PosiCharge technology 4.1-ounce, 100% polyester dazzle yoke and sleeves with PosiCharge technology Removable tag for comfort and relabeling Crossover rib knit v-neck Set-in sleeves Not designed to be worn over pads If applying sublimation, special care must be taken throughout the process. Contact your decorator for more details.